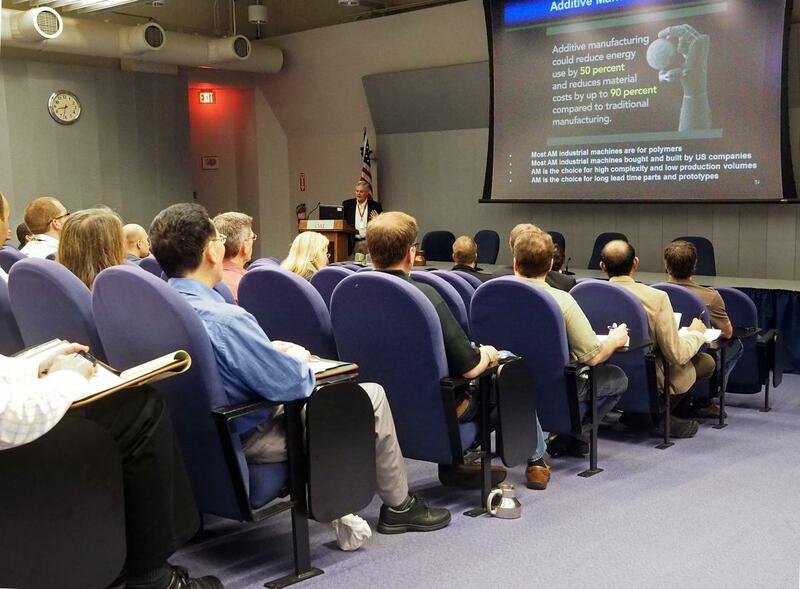 Mohsen and Matt Dahar, doctoral researchers in the AMMRC at CWRU with Professor Lewandowski, attended the ASM Educational Symposium on Additive Manufacturing which was held at OAI on May 12, 2014. 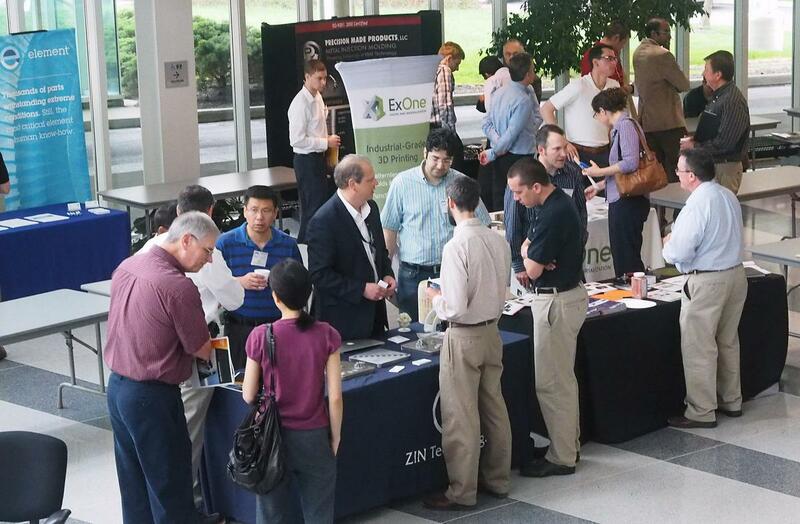 Various talks were delivered while local and national companies demonstrated their products. This symposium was the Chapter’s annual education event and provides Chapter members and other interested parties the opportunity to improve their knowledge and network on topics of current interest. Mohsen Seifi, Matt Dahar, Ron Aman, Ola Harryson, Jack Beuth and John Lewandowski have published a paper in a special issue on Additive Manufacturing in the March issue of Journal of Materials (JOM) entitled: Evaluation of Orientation Dependence of Fracture Toughness and Fatigue Crack Propagation Behavior of As-Deposited ARCAM EBM Ti-6Al-4V. Abstract— This preliminary work documents the effects of test orientation with respect to build and beam raster directions on the fracture toughness and fatigue crack growth behavior of as-deposited EBM Ti-6Al-4V. Although ASTM standards exist for determining the orientation dependence of various mechanical properties in both cast and wrought materials, these standards are evolving for materials produced via Additive Manufacturing (AM) techniques. The present work was conducted as part of a larger America Makes funded project to begin to examine the effects of process variables on the microstructure and fracture and fatigue behavior of AM Ti-6Al-4V. In the fatigue crack growth tests, the fatigue threshold, Paris law slope, and overload toughness were determined at different load ratios, R, while fatigue precracked samples were tested to determine the fracture toughness. 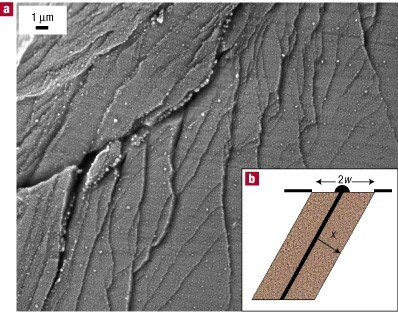 The as-deposited material exhibited a fine-scale basket-weave microstructure throughout the build and although fracture surface examination revealed the presence of unmelted powders, disbonded regions and isolated porosity, the resulting mechanical properties were in the range of those reported for cast and wrought Ti-6Al-4V. Remote access and control of testing was also developed at CWRU to improve efficiency of fatigue crack growth testing. M. Seifi, M. Dahar, R. Aman, O. Harrysson, J. Beuth, J.J. Lewandowski, JOM 67 (2015) 597. One of our journal papers was recently selected as one of the landmark articles published in Nature Materials over the past 10 years. Details on the selection and other articles chosen are given by the link and the information below. This article was previously selected as one of the 10 most influential articles from 2002-2007 and now it has been selected as one of the 20 most influential over the timeframe 2002-2012. Nature Materials is ten years old, and we use this occasion to look back at how authors, reviewers and editors have contributed to the journal. We feature on the cover of this issue a 'word cloud' that shows the most recurrent words that appeared in the titles of published articles, and discuss in an editorial statistics on manuscript decisions and on the geographical share of manuscripts and reviewers. We also list a selection of what we consider landmark articles published in the journal over the past ten years. A selection of 20 papers among those that we consider landmark articles published in the journal over the past ten years. They are ordered by subject area, from condensed-matter and applied physics to materials chemistry, soft matter and biomaterials. The development of materials capable of handling large mechanical stress requires the understanding of energy dissipation within the material. Here, a clever experimental technique demonstrates that deformation-induced shear bands take most of the heat. Henry Neilson, Jessica Booth and Matt Dahar successfully defended their master theses in the Spring 2014 and Dr. JunYi will be leaving the group to join another research group at ETH Zurich,Switzerland. Jessica Booth will join GE Oil & Gas while Henry and Matt will continue in the group as PhD students. 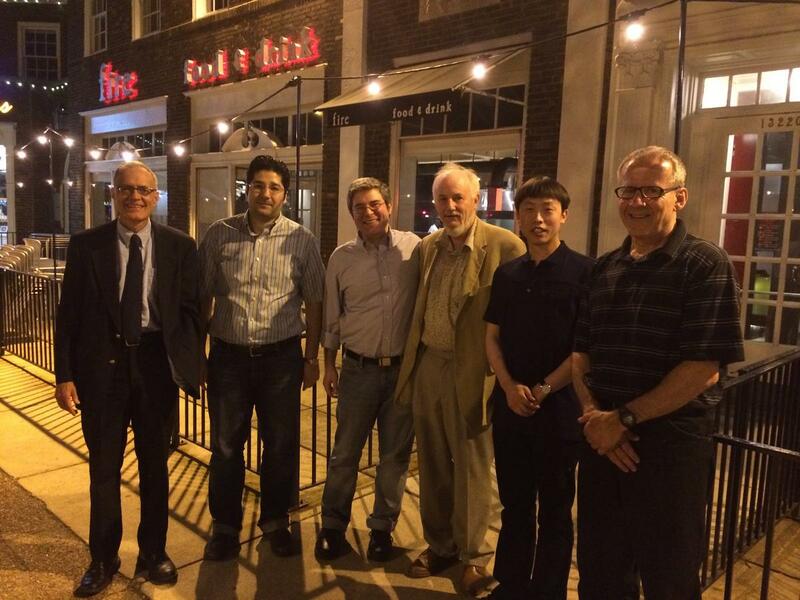 Professor Lewandowski, Mohsen Seifi, Professor Willard, Professor Holroyd, Dr. Jun Yi, and Chris Tuma are shown below after the celebration dinner held at Fire Restaurant. 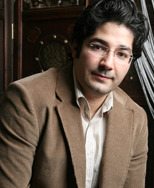 Mohsen Seifi, Doctoral researcher at Case Western Reserve University is one of the recipients of the 2013 ASTM International Project Grants Award for his thesis research on the Fracture and Fatigue behavior of Al-Mg Alloys After Long-Time Low Temperature Exposures. His research focuses on understanding the Sensitization effects on the fracture and fatigue crack growth behavior of Al-Mg alloys which are widely used in naval applications. He presented this work at the ASTM bi-annual meeting and received an award. The details of this award are available here and the papers can be downloaded from here. Kevin Macke MS student of department of Materials Sciense and Engineering at CWRU officially joined JJL research group. Kevin Joined MSE department in 2011 as a part time master student and currently is working with Thermo Fisher as an engineer. Freshman, Ilana Roth, sophomore, Kimaya Gupte (both pictured above) joined the group in January and will be working with PhD student, Janet Gbur on the mechanical characterization of various wires used in biomedical applications. Congratulations to Mohsen Seifi on Passing PhD Qualifying Exam!